Maruti Baleno Alpha Diesel is the top diesel variant in the Baleno lineup and is priced at Rs. 8.61 lakh (ex-showroom, Delhi). This base variant comes with an engine putting out 74bhp@4000rpm and 190Nm@2000rpm of max power and max torque respectively. The gasoline motor comes mated to 5 Speed Manual transmission which is quite a joy to use. Maruti claims an average of 27.4 kmpl for this top Alpha Diesel variant. Q. Which car is best for long term, Baleno or Dzire in petrol variant manual. Q. How the performance of Baleno Sigma? Q. Should I buy Baleno petrol Sigma or lower model of Brezza? Nexon is awarded as the safest car in India.Also the price budget is so good. Q. 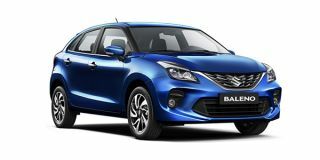 What is difference between Baleno Sigma and its top model? Q. Which is best between Baleno Sigma petrol and top model Wagon R ZXi 1.2cc petrol? Q. What type of music system is inserted in the variant of Sigma? Maruti Baleno Sigma comes with a basic music system with 4 speakers with FM/Am radio compatibility. It doesn't come with a touch screen infotainment system. No music system is in sigma model.You will insert buying outside.